Quickly lookup BMI = Kg/ m2 with the following charts. Use our calculator if your desired weight/ height values are out of range or if they are not included in the table. BMI metric table using kilogram and metre for weight and length units. 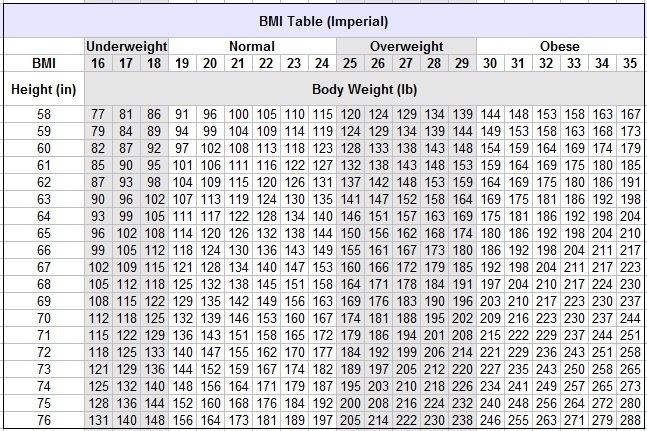 BMI imperial table using pounds and inches for weight and height respectively. Download our BMI App for Android from Play store.